The natural wine movement is spreading. Everywhere I look in Tokyo, neighborhood wine bars and small bistros are introducing all-natural wine lists. I’m starting to wonder, why does natural wine fit so organically into the city? Japanese consumers were early adopters of natural wine, developing a taste for it in the early 1990s — even before it was a trend in France. Wine is considered “natural” when it is produced with minimal intervention — nothing added, nothing removed. No chemicals or artificial fertilizers are used on the vines nor is there any manipulation of flavor or additives used in the winemaking process. Natural wine growers even go beyond the stipulations needed to be labeled “organic,” which say that no chemicals can be used to grow the grapes, but chemical and technological manipulations are allowed during the winemaking process. When local consumption of French natural wine peaked in 2000, Japan was reportedly consuming 75 percent of the total volume produced. If it wasn’t for the Japanese demand many small French wineries would not have survived. Although that peak was 15 years ago, the local penchant for Gallic natural wine continues today, with around three quarters of Japan’s imported organic wine (including natural wines) coming from France, according to a 2014 report by the USDA Foreign Agricultural Service. What began with just a handful of French winemakers is now a global movement, having spread to Italy, Spain and, more recently, Australia, New Zealand, the United States and Japan. Natural wine is making waves with a new generation of drinkers in this country who have little experience with more traditional types of wine. These are drinkers whose taste references are not shaped by the familiar products of their region; they have no preference over origin or variety; and their palates are not trained nor minds aware of the traditional aromas and taste descriptors. They are simply drinking wine because they like it and — based on the wine lists at many Tokyo bars and restaurants — these new drinkers like the easiness of natural wine, the light mouthfeel. It’s “drinkable” wine. “There is no fuss and no knowledge needed. It’s a nonthreatening way to enjoy wine and it’s nice to drink,” says Yasuhiro Tsubota, a sommelier at Le Cabaret a neighborhood bistro in Tokyo’s Shibuya Ward. There is certainly no fuss about the wine here — there’s not even a wine list. You are asked what you would like to drink and the answer can be as simple as white or red. The wine is poured and the bottle left on the table. None of this opening the bottle in front of the customer and pouring a taste for their approval. Tsubota has been on the scene since the early 2000s and witnessed a lot of changes. After working at Le Cabaret he had a six-year stint at Shonzui — Tokyo’s first natural wine bar in Roppongi — before returning to Le Cabaret as sommelier in 2014. He has witnessed the growing local interest in natural wine from the consumer side but also says that in the last five years many of his friends have opened their own small bars serving natural wine. And it’s not because they are jumping on the “natural wine bandwagon” — these bars are not promoting themselves through natural wine. These wines speak to their palate and philosophy, by drawing from elements of the traditional Japanese diet, which respects nature and uses ingredients with little intervention, resulting in delicate and simple flavors. The emphasis on purity, simplicity and a connection to nature in traditional Japanese culture are reflected in natural wine. This is revealed through each wine’s pronounced terroir — flavor imparted by the natural environment in which it is produced, including soil, climate and topography. The purity of the grape is preserved. One Tokyo-based importer of French wine, Francois Dumas, believes the success of natural wine in Japan is due to the openness of locals drinkers and their eagerness to learn. Dumas was one of the first local importers of French natural wine, he established Vin Bio, a wine-importing company, in the late ’90s at a time when enthusiasts were scarce. 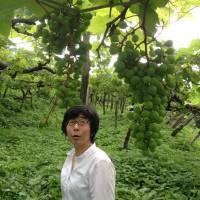 There are now over 30 Japanese importers of natural wine and this number is growing as the heavyweight conventional importers start sister companies that focus exclusively on natural wine. And demand is outstripping supply. In cities where natural wine consumption is rapidly growing — such as London and New York — importers, chefs and sommeliers are looking to Tokyo as model for the industry. There are more than five natural wine stores in Tokyo and you can even see natural wine on the shelves of select department stores. 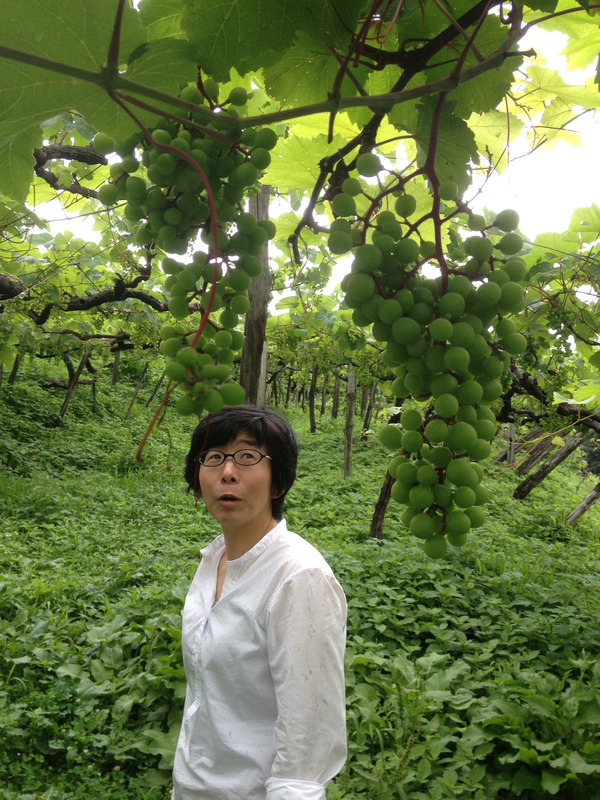 And despite Japan’s unfavorable climatic conditions, domestic winemakers have become passionate about realizing the potential of natural wine: at least five vineyards are producing Japan’s first entries into the market, which are being received enthusiastically. As one of the global early adopters of natural wine, perhaps Tokyo is on to a good thing. “There is no hangover with natural wine and the quality of the drunken state is much higher,” Dumas proclaims. Le Cabaret is located at Motoyoyogi Leaf 1F 8-8 Motoyoyogicho Shibuya-ku, Tokyo; nearest station, Yoyogihachiman; 03-3469-7466; Open 6 p.m.-12 a.m. (L.O. 11 p.m.), closed Mon. and occasionally on Tues.; some English spoken. For more information, visit restaurant-lecabaret.com.